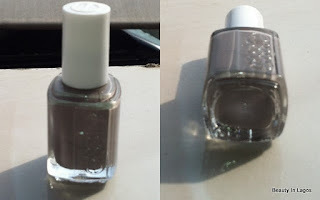 Remember I said I’ll post a NOTD using one of my Essie Nailpolishes….. This is the colour in the spotlight today. Here it is on. Shot it in the sunlight so you would see the actual colour payoff. And there’s my first NOTD post! Short and sweet. What Colour are you rocking currently on your nails?